This week we’re throwing the spotlight on the guerilla street art of Princess Hijab. 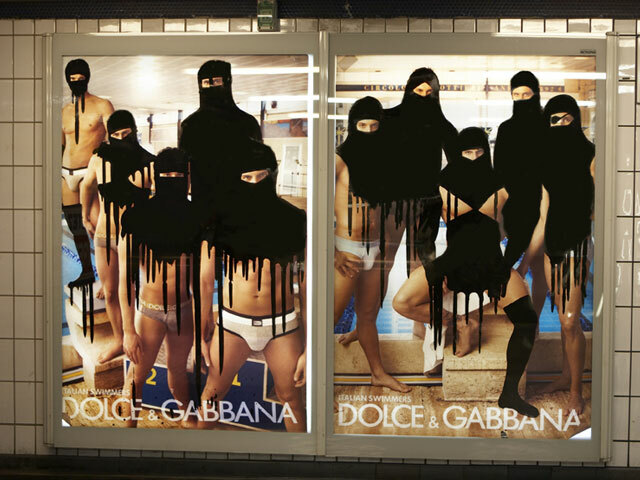 Princess Hijab détournes advertising in public spaces: superimposing black veils onto the iconography of popular culture. We like the way the artist works in a space that is both secular and highly sectarian: heterogeneous and also conformist; creating a form of activism that challenges everyday commuters to consider their own position in the way that identity is formed.